CBP is grounding its remaining fleet of nine drones after one of them crashed off the Southern California coast because of mechanical problems, Reuters reports. Monday’s crash was the second involving the agency’s drones since it began using them in 2006. 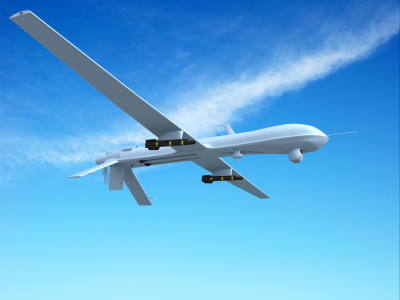 “While on patrol off the Southern California coast, the unmanned aircraft, a maritime variant of the Predator B, experienced a mechanical failure,” U.S. Customs and Border Protection spokesman Michael Friel said in a statement. The $12 million aircraft crashed into the ocean about 20 miles southwest of San Diego on Monday night. Since the agency doesn’t know what caused the crash, the rest of the fleet has been grounded while officials investigate. “We want to determine the cause of this mechanical failure (and) that will help inform the decision on what the future holds for the fleet,” Friel said. Posted: 1/29/14 at 8:49 AM under News Story.